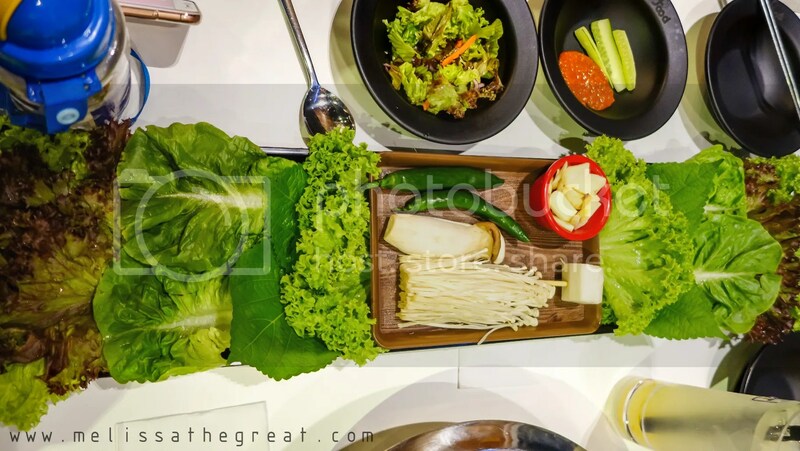 When Palsaik Korean BBQ newly arrived in Malaysia, I heard about it through social media. 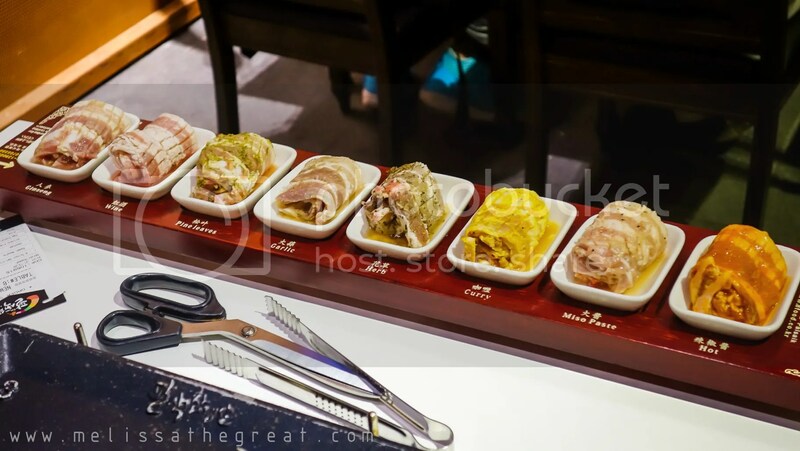 I got attracted when friends shared about the 8 flavors of pork on a long tray. In Korean Palsaik [pa:sek] means ‘eight colours’. 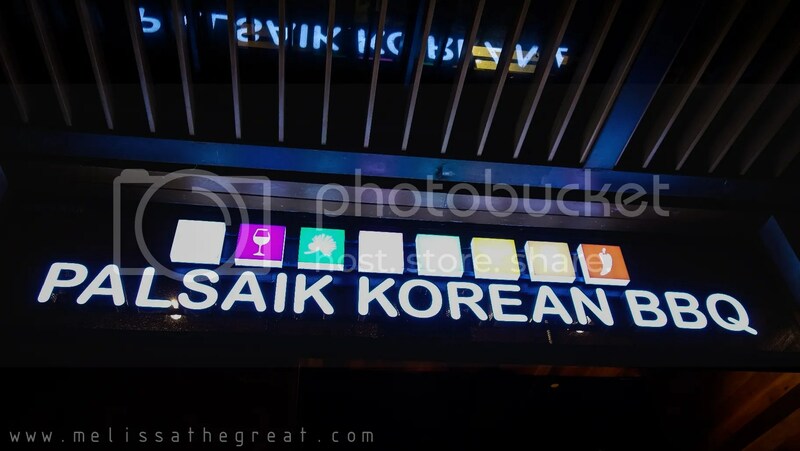 Palsak Korean BBQ is now available at Mon’t Kiara (1st outlet), Scott Garden, Johor Bahru, Melaka, Kota Damansara & Kepong. 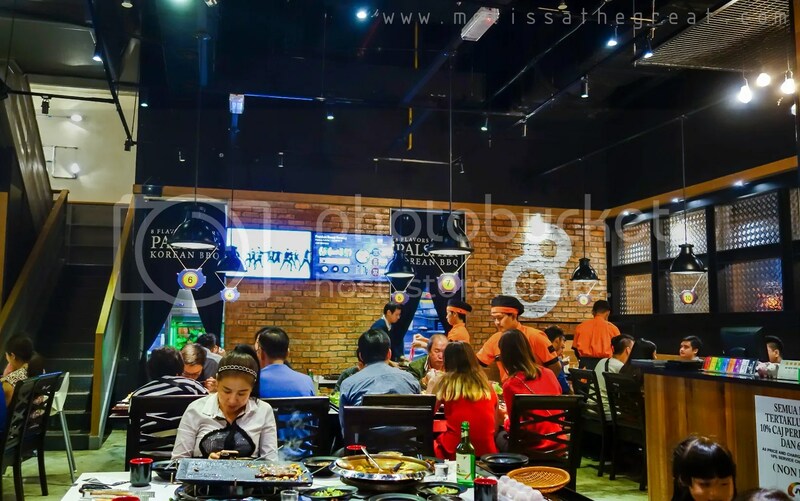 Apparently, Palsaik is a popular Korean BBQ in Korea. 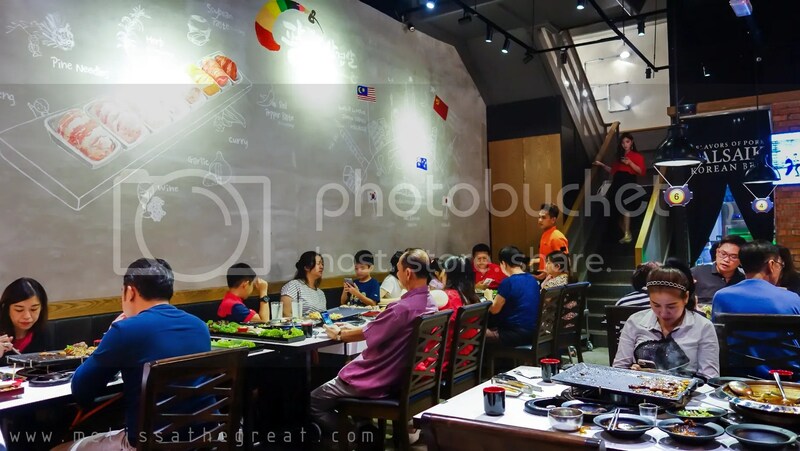 When I was at Genting’s SkyAvenue, I didn’t want to miss a chance to dine here with my family. 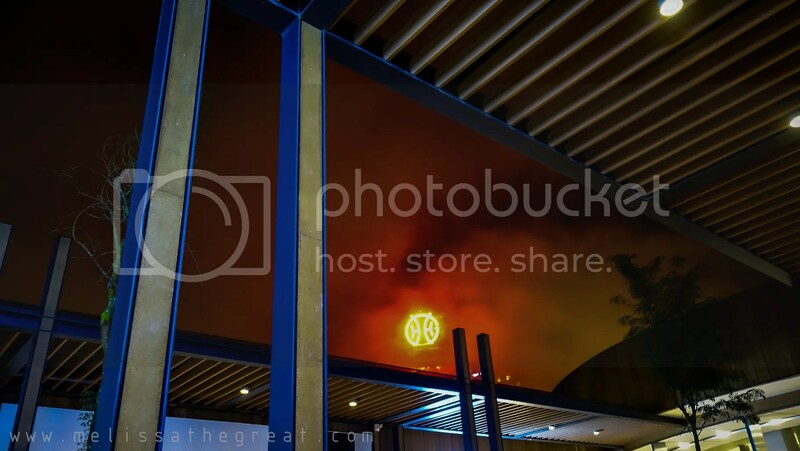 Located at Lot No. T2C-08 & T3-08, SkyAvenue,Genting. Seats are available at 2 floors. It was on one Saturday night. Hence the crowd at 8+pm. We were put under the waiting list by jotting our name,number of pax and contact number. I wasn’t sure if they accept any reservation, but regretted that I didn’t try doing it. Our waiting time was at least 30 minutes. But the outlet manager was very attentive and friendly to accommodate every waiting customers. 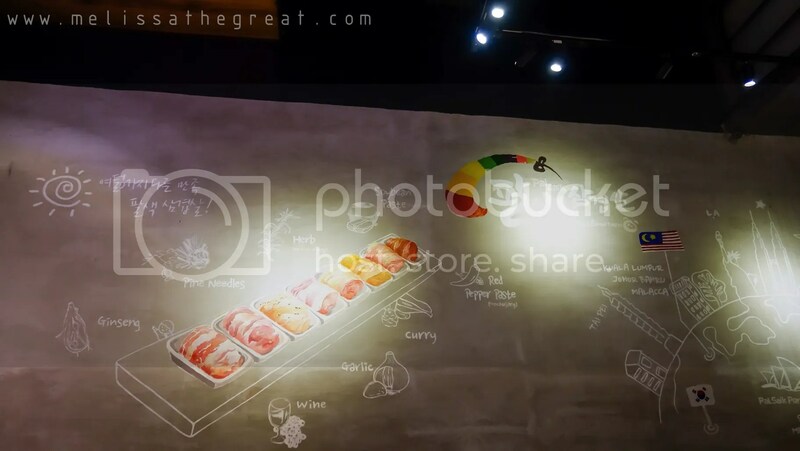 As shown on the wall, the signature 8 flavors pork belly. 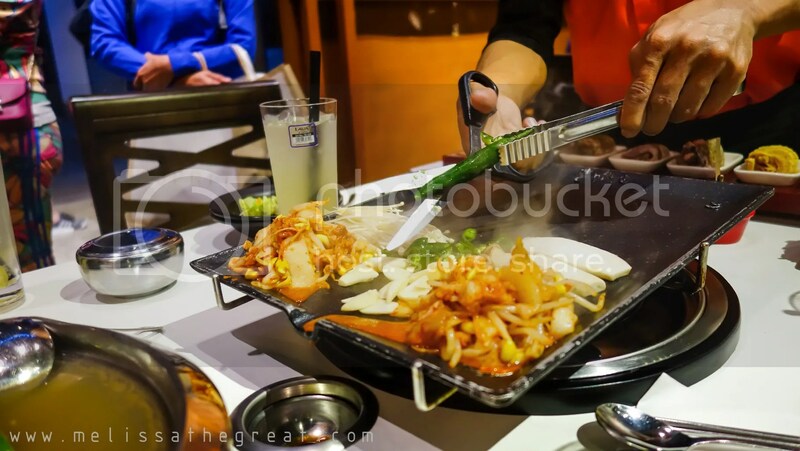 At Palsaik, the eight flavors are ginseng, wine, garlic, herb, curry, miso paste and hot pepper . 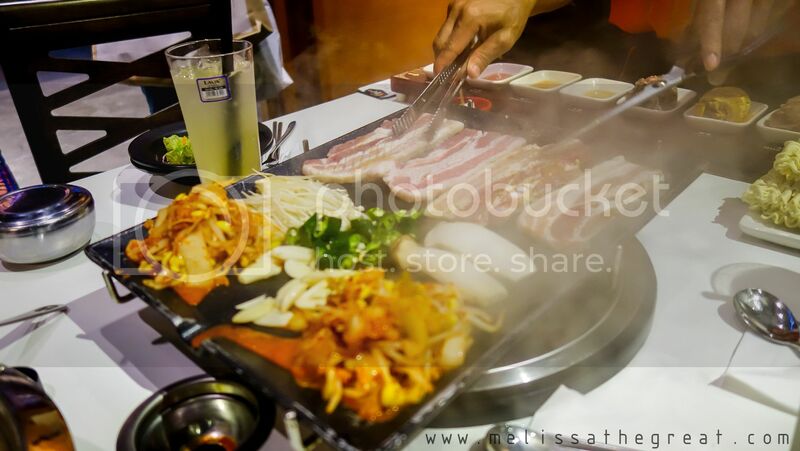 All the color is naturally-derived, making the pork served at Palsaik 100% natural and free from coloring and any synthetic flavor additives. The 8 colors set comes with a pot of Clear Clam Soup which is non-spicy. There were choice of 3. From non-spicy to mild then spicy soup. We added a portion of Ramen Noodle (RM8). Do note that the soup can’t be refill. Complimented with some lefty vege (types of lettuce to wrap the meat). But surprisingly no banchan is serve here. Leave the job to the professional. 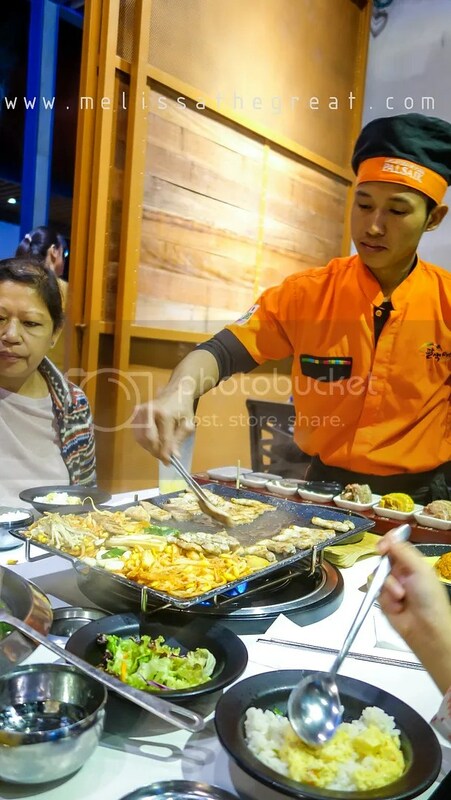 The trained staff will do the meat grilling for you. 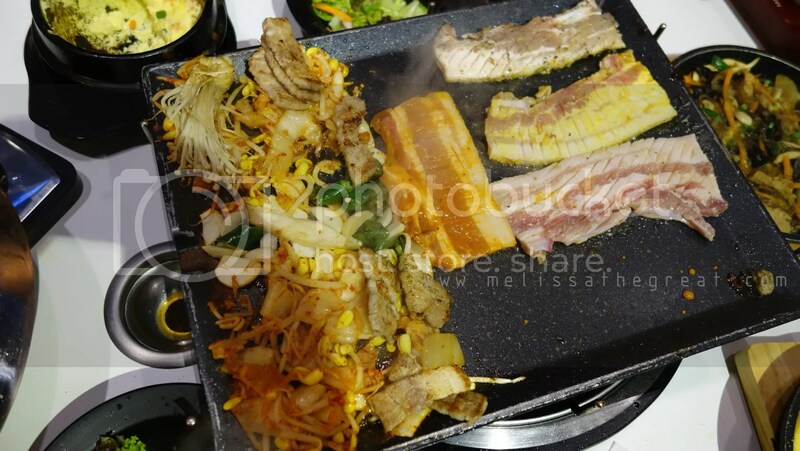 As you can see, on the grilling pan its filled with kimchi + bean sprout (refillable), mushroom and enoki mushroom before the grilling begin. 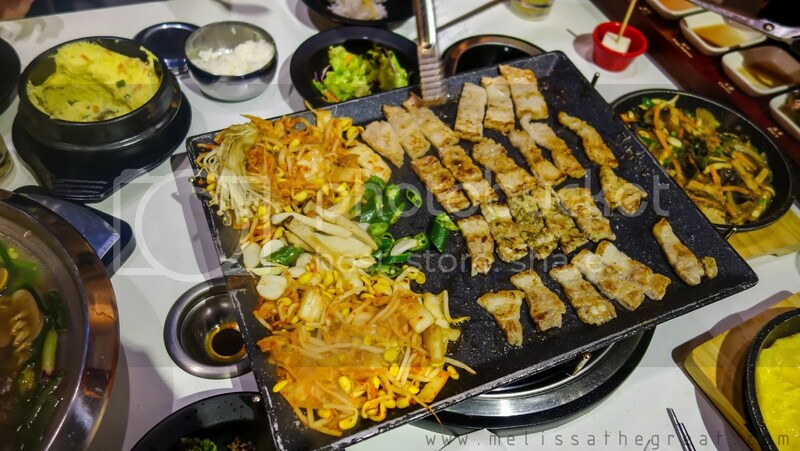 Grilling begin from original, non-flavored pork belly, graduating from the lighter to the strongest flavor. 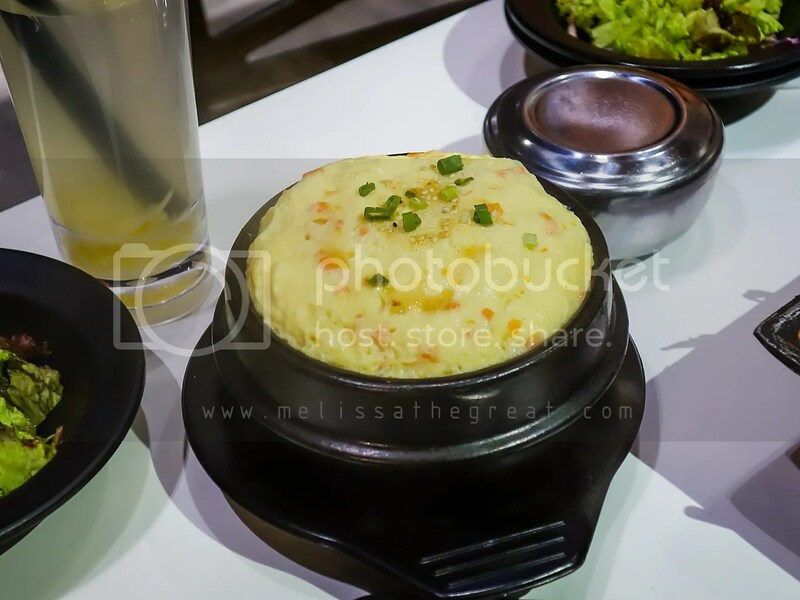 Its a Korean version of steamed egg. The steamed egg was steaming hot and has a very nice fluffy texture. Suitable for children too. 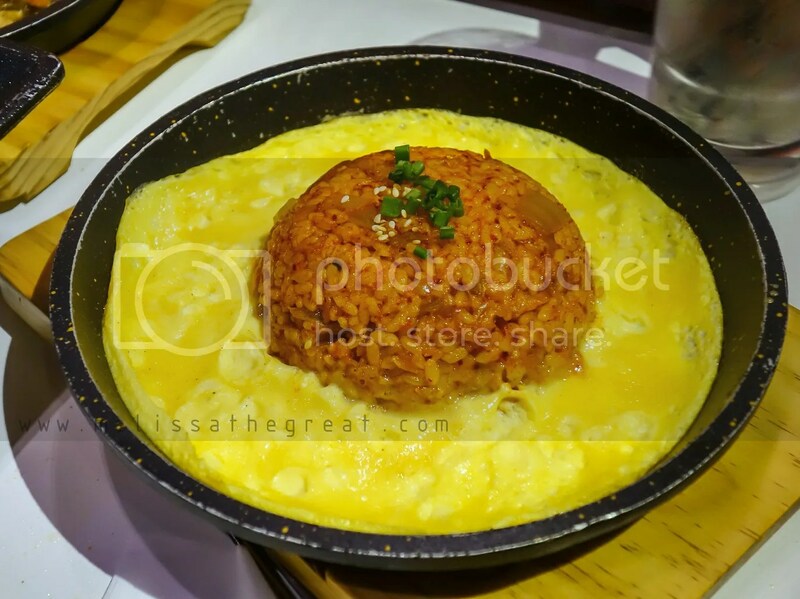 Kimchi Fried Rice on bed of omelet was not bad. But its not volcanic at all. (not spicy). 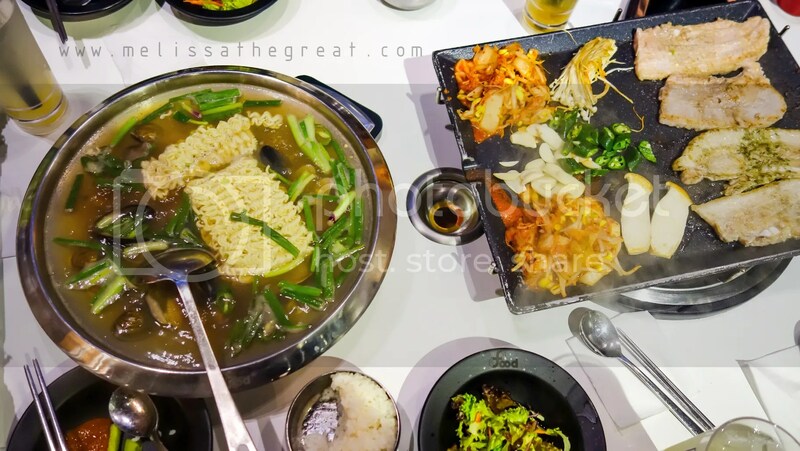 My girl and the mum love Korean…a lot; I’m just ok with it. We just had bibimbap the other day – post on it in my blog coming up real soon. I never try this out because I think the price is a bit higher than other Korean food joints =.="